The spokesman for the founder of the WikiLeaks whistleblowing website has confirmed that Sweden’s Supreme Court will hear an appeal by Julian Assange, who wishes for his arrest warrant to be overturned and allegations of sexual assault dropped. The highest court in Sweden said on Tuesday it would hear Assange’s appeal to lift the arrest warrant following the dismissal of a previous attempt through a Swedish appeals court last November, Reuters reported. This information has been confirmed by a WikiLeaks spokesman. Yet, no date of the hearing has been announced so far. “The Supreme Court grants leave to appeal in the matter regarding the arrest,” the court said in statement. The 43-year-old Australian denies the accusations of sexual assault against two women in 2010. To avoid extradition to Sweden, since June 2012 he has been sheltering inside Ecuador's London embassy. Swedish prosecutors first wanted him to come to the country for questioning over the allegations, but in March they agreed to carry out an interview in London. According to Assange, the possibility of extradition to Sweden by Britain could eventually lead to facilitation of his extradition to the US. There he is likely to face espionage charges as the founder of a platform for publishing classified US government documents, thus threating the country’s national security. 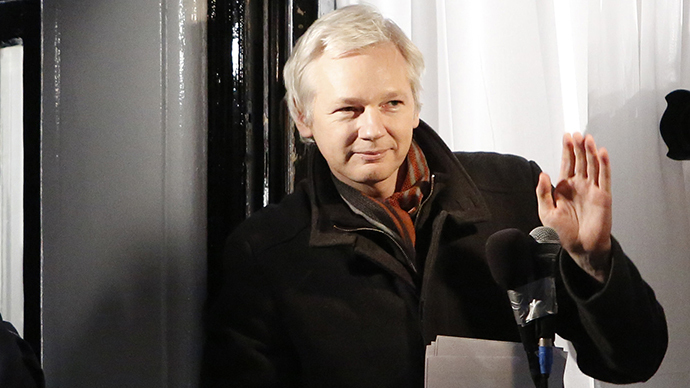 By April, Assange has spent over 1,000 days in his free willed political “imprisonment”. Taking into consideration the heavy police presence outside the Ecuadorian Embassy, aimed at preventing him from fleeing, his limbo has cost the British taxpayer some £10 million ($15 million) since the operation began. The police stand guard over Assange, as he also faces an arrest – even if Sweden drop their investigation – for jumping bail granted by the British courts, which considered the European arrest warrant issued by Sweden.